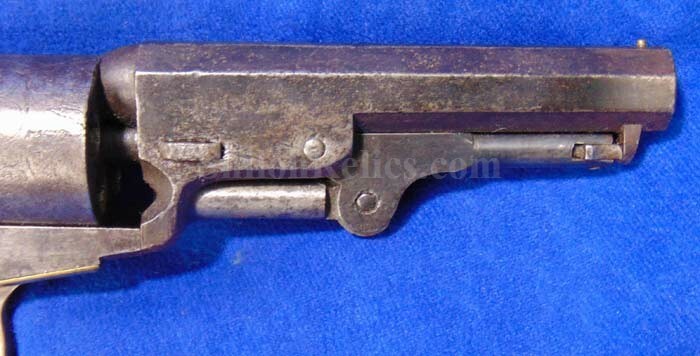 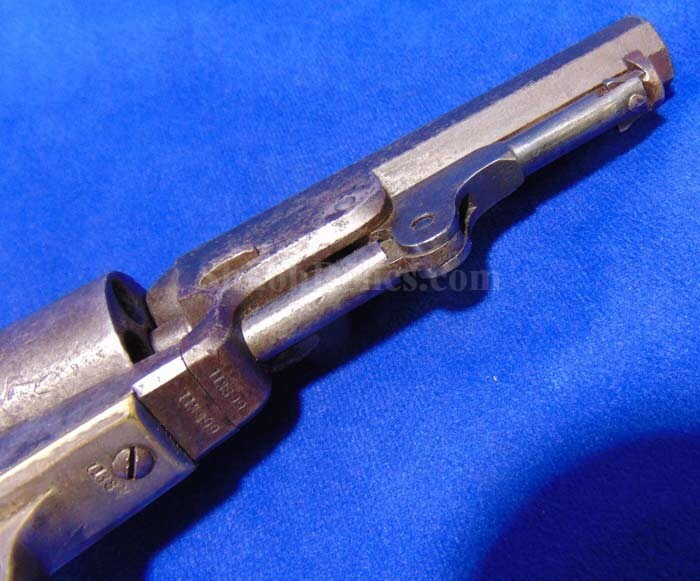 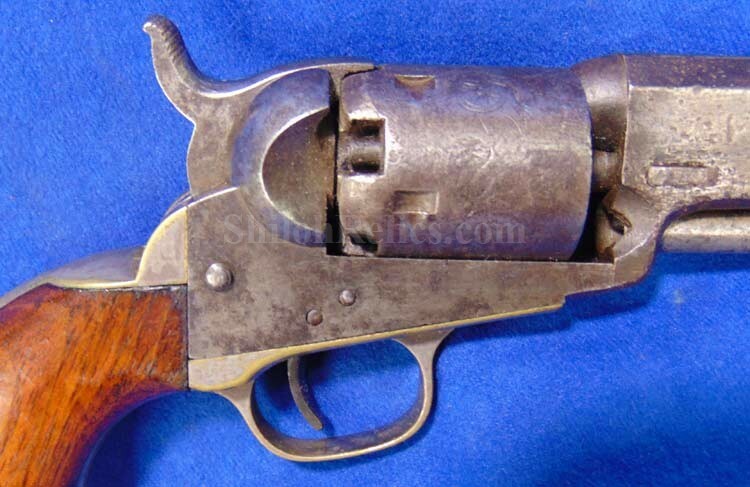 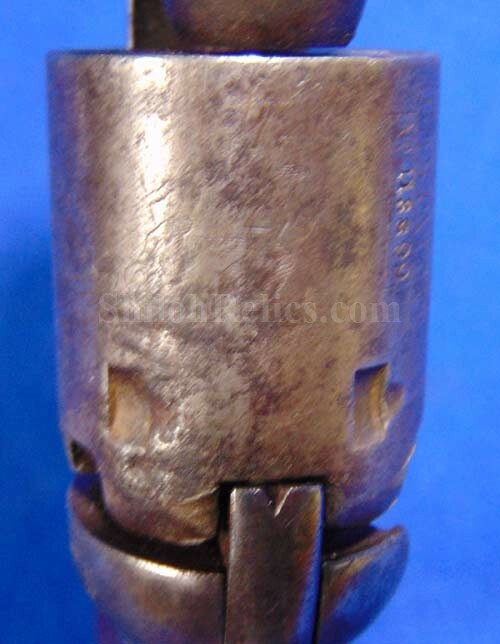 This is a very good looking original Civil War 4 inch barrel length version .31 caliber Colt revolver. 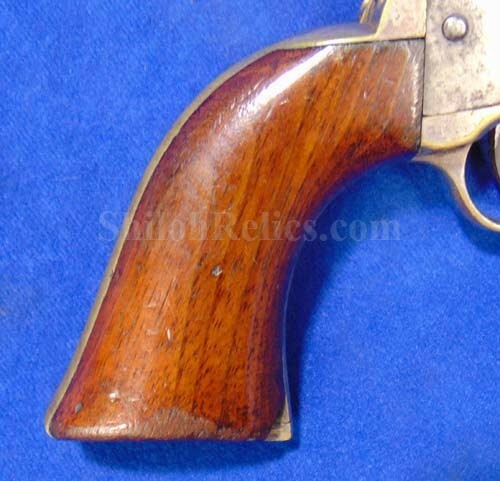 This is the classic version known to collectors as the model 1849 "pocket” model Colt. 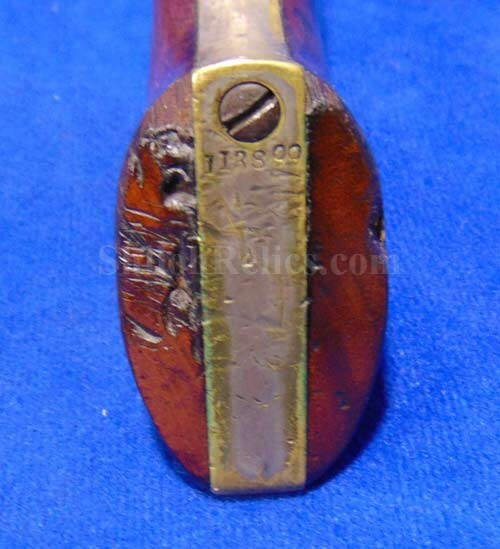 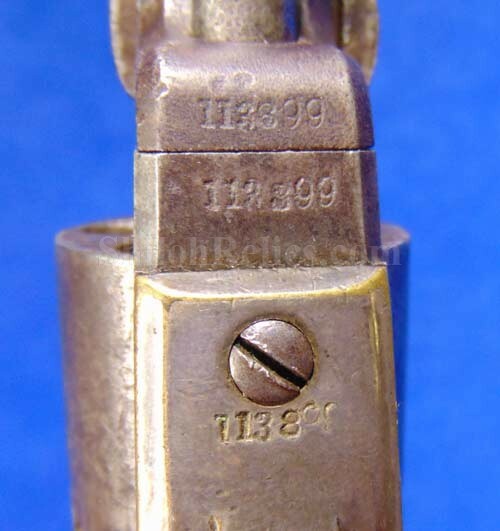 It has all matching serial numbers of 113,399 including the wedge. 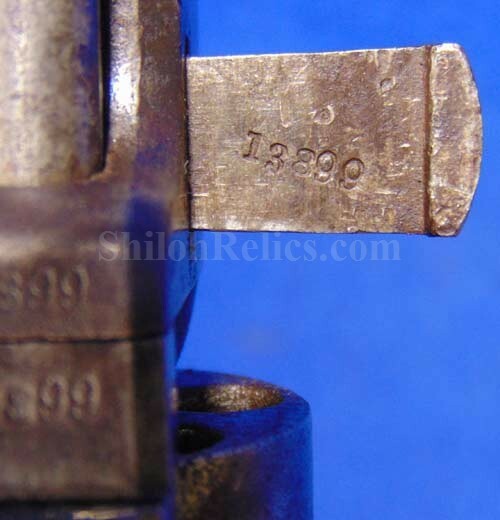 These numbers let us know that the gun would have been produced in 1856. 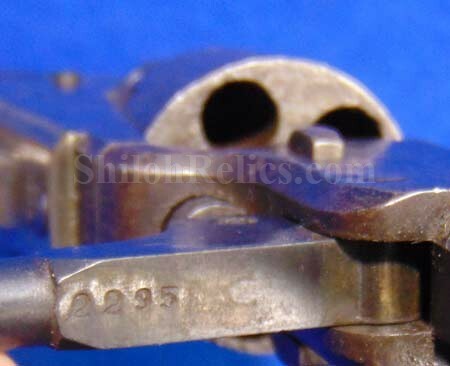 The brass trigger guard and backstrap have a nice look to the brass and each piece retains a superb amount of the original silver from the factory. 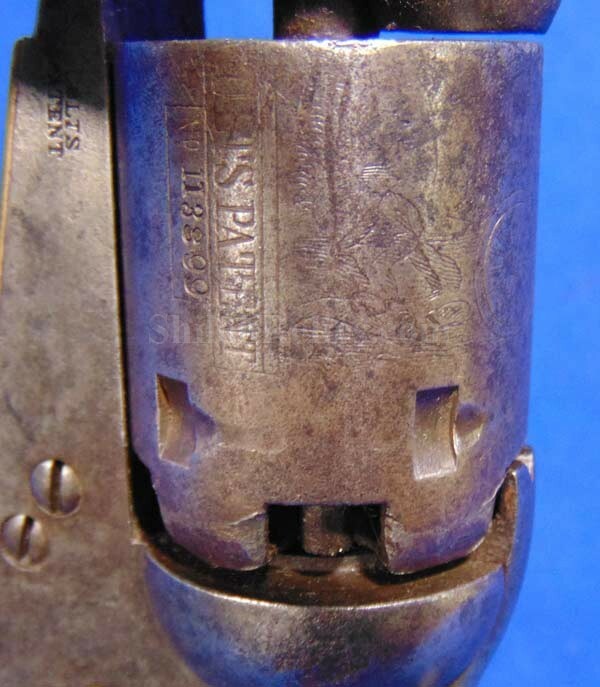 The mechanics functions nicely on all positions. 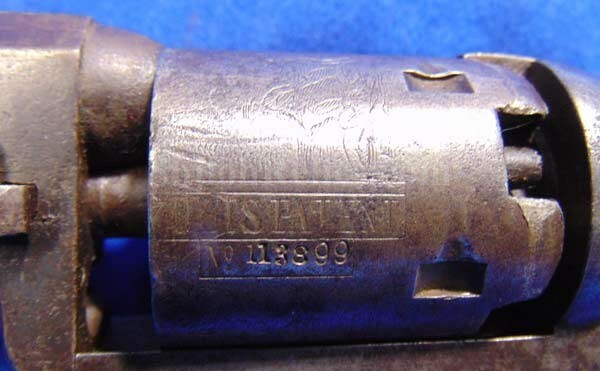 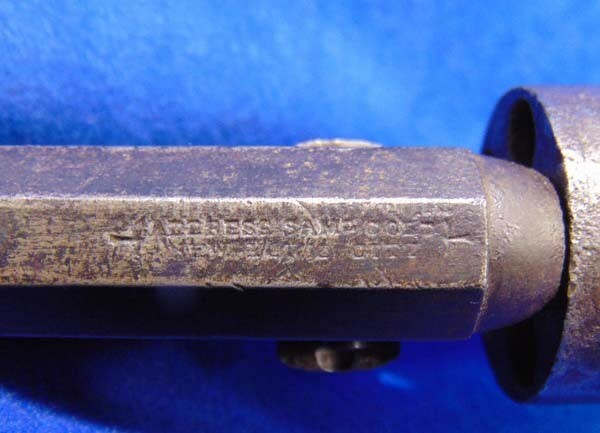 The top of the barrel has the double line Samuel Colt maker’s mark and New York City location. 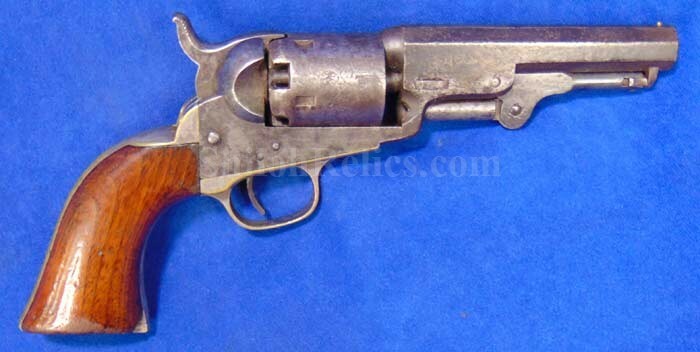 New York City was the location of the sales office with the actual production of these revolvers taking place in Hartford, Connecticut. 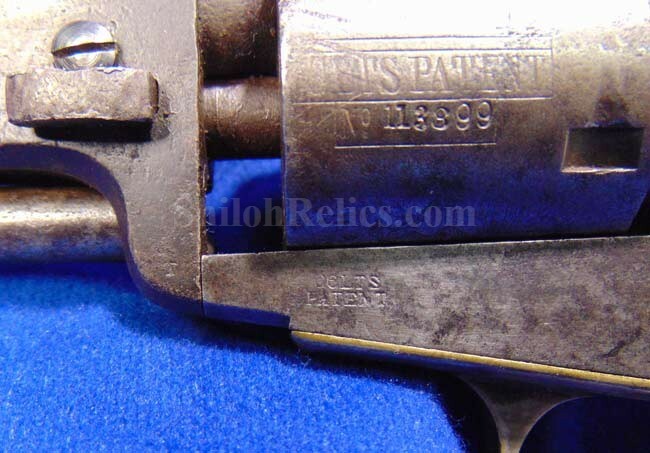 As you can see the metal on the gun has a pretty untouched patina with some sale and pepper tone here and there. 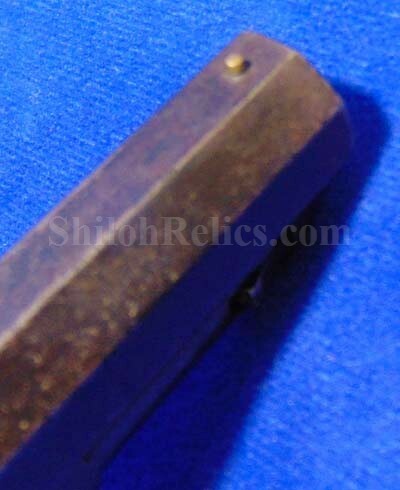 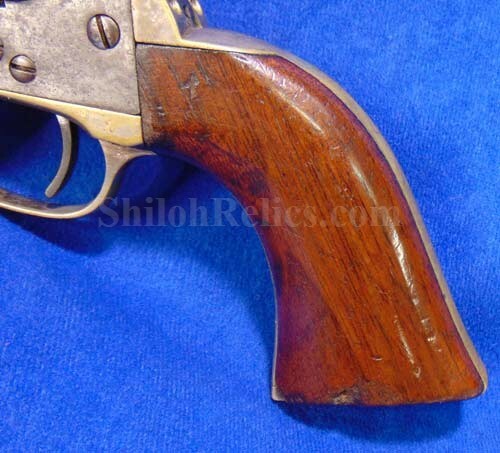 The grips on the gun are present with a dark tone to the 1-piece walnut. 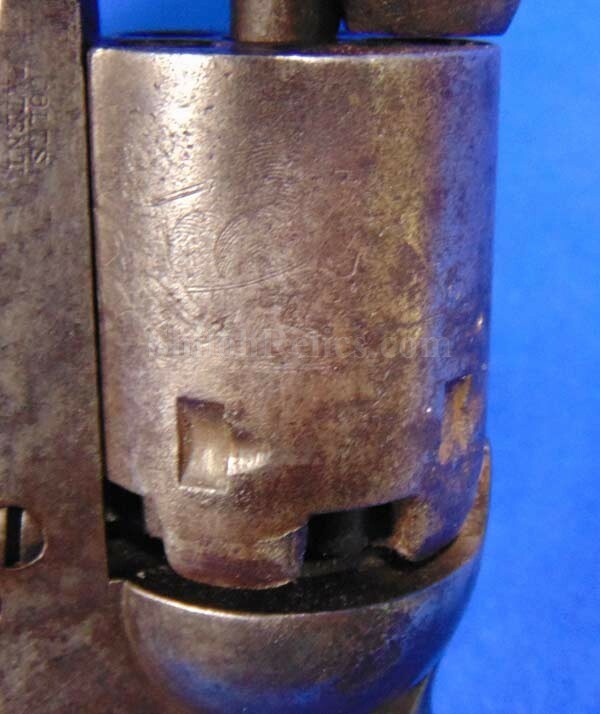 The grips still retain a fine amount of the original varnish. 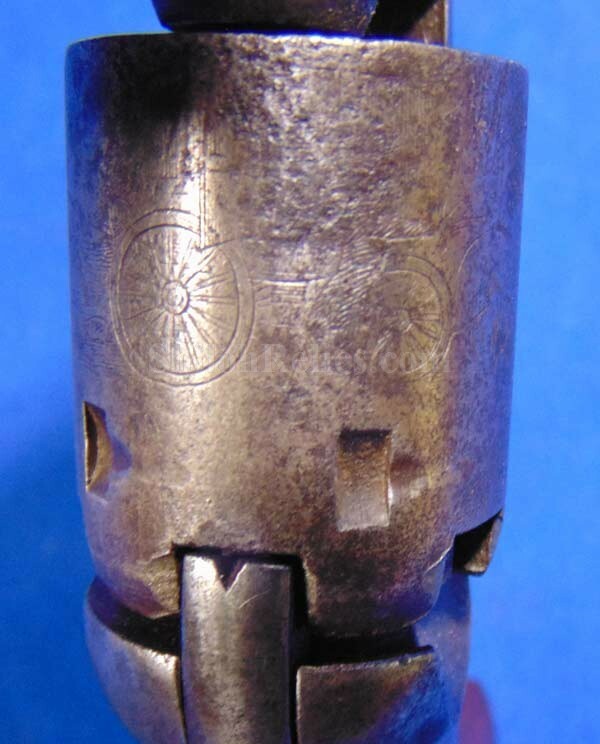 You can still see a good amount of the original factory cylinder scene. 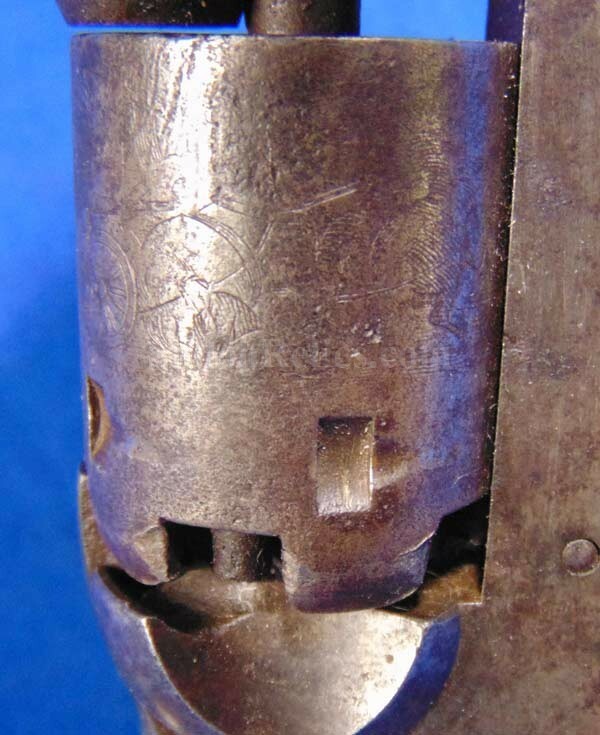 The scene depicts a stagecoach robbery scene. 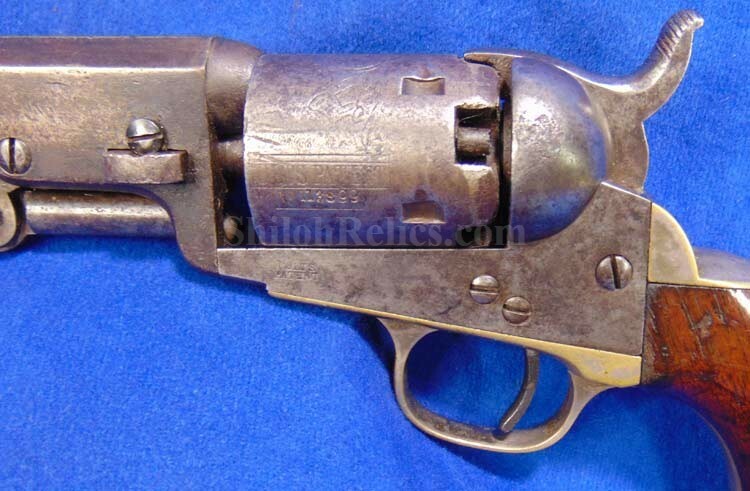 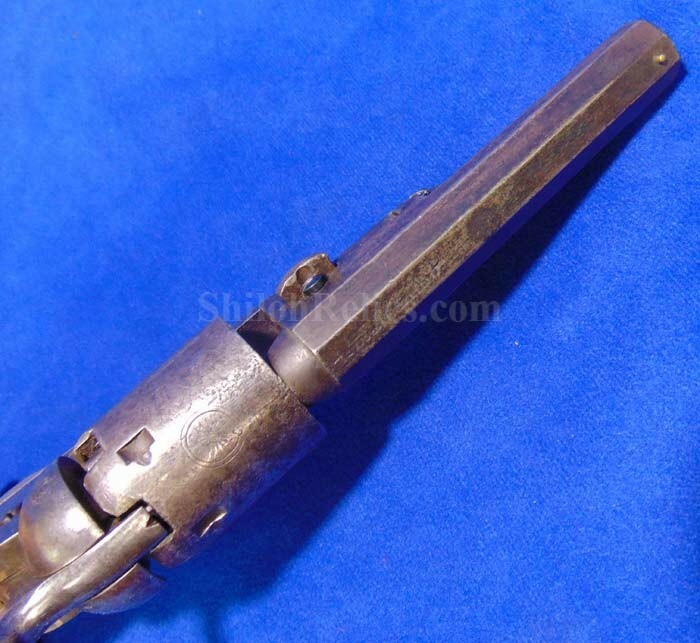 This is a very attractive original Civil War .31 caliber Colt revolver that displays beautifully.